Boston University professor Ann McKee has been named one of Time Magazine’s most influential pioneers of 2018. The nomination comes after her groundbreaking work as director of BU’s CTE center. CTE, or chronic traumatic encephalopathy, is a degenerative brain disease caused by repeated trauma to the head. The disease can currently only be found through an autopsy, according to the Mayo Clinic. McKee’s research has not only changed the public perception of the dangers and care of “head impacts,” including concussions and sub-concussions, she wrote, but has also shown that these repetitive head injuries can cause issues that prevail after the initial trauma. Over 70 percent of reported CTE cases in the world have been published by her research team, McKee wrote. McKee has also worked to create the Veterans Affairs-Boston University-Concussion Legacy Foundation brain bank. The bank, she wrote, holds over 550 brains, with over 320 of those from people who had been diagnosed with CTE. “After more than 10 years of enormous effort and resilience in the face of constant adversity, not only by myself but the entire BU Center and VA Boston team, it is very gratifying to be recognized this way,” McKee wrote. 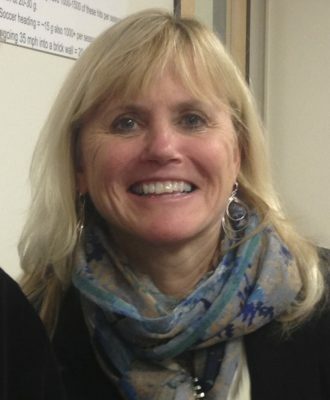 In conducting her research, McKee has faced backlash from various groups of people. Yet, McKee wrote, their research has persevered despite these hurdles. Chris Borland, a former football player for the San Francisco 49ers, wrote the short blurb about McKee as displayed on TIME’s website. He wrote that he quit football at age 24 due to concerns about brain damage and with a strong influence by McKee’s work. “At the very least, her work has likely spared me much of the suffering we see today among former NFL players,” Borland wrote. Chris Nowinski, co-founder and CEO of the Concussion Legacy Foundation, as well as co-founder of the BU CTE Center, wrote in an email that he is happy for McKee’s deserved recognition. “Not only is she a brilliant scientist who is saving lives, she is navigating a highly politicized issue with patience and integrity,” Nowinski wrote. McKee’s work takes a lot of determination and resilience, she wrote.